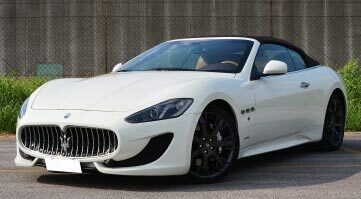 Maserati Ghibli, Maserati Granturismo, Maserati Grancabrio are justsome of the luxury car available in the Karisma Luxury Rental fleet, perfect foradmire all the beautiful places around Italy. Itineraries especially designed to experience intense emotions aboard of ultra-luxury sports car, full optional. Driving a Maserati Grancabrio gives you unforgettable emotions and feelings.Just press the accelerator to feel crushed in the seat. There are various driving programs and in relation to the choice the driving experience is completely different. 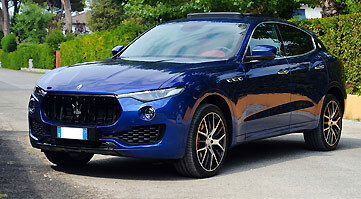 To know the Maserati Ghibli, Maserati Gran Cabrio and Maserati Levante rental price, please fill out the form on this page. The highest rated Karisma Luxury Rental service is just the speed of both the delivery and the withdrawal. All the paperwork will be handled in advance. At our arrival will be enough only a signature. In less than 5 minutes you can feel the elegant sound of the engine. The perfect combination of style and power. Driving a Maserati is not so difficult. The gearbox is automatic and to tame the horses well, just dosed depressing the pedal.The seats available are 2 or 4 and luggage is a compartment large enough, capable of containing 2 medium-sized suitcases.The power supply is gasoline, with a slightly higher consumptionaverage, but don't forget that we are driving a Porsche!.Exclusivity has its price. The picturesque route Bocelli Dreams is inspired by the great master ofopera music Bocelli that was born in these places. In itsLajatico native land, organizes every year one of the mostfascinating and charming concerts as ever: the Theatre of Silence. The Lajatico hills are located less than an hour from the airport of Pisa. Do not forget that here you can visit Volterra, famous all over the world for art and history and far more forward the ancient towers of San Gimignano will show you the way to reach Siena and its large square. 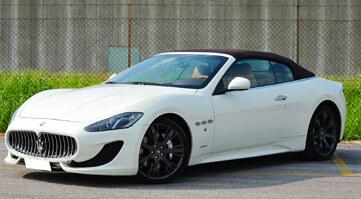 "Maserati for rental in Italy "
When you squeeze the accelerator feel pawing all horses which the car has. Cornering never breaks even in high speed, thanks to the intervention of the stability control. A true jewel of technology, seems to be on board a luxury private jet. Great attention is dedicated to all occupants, with many accessories and comfortable spaces.